Raw. Powerful. Untouched. There are so many ways to describe the unique countryside of Norway that makes it a rare and undiscovered cycling destination. This territory is speckled with Nordic attitude, from outrageous glaciers to jagged, dramatic mountains practically carved out of marble. We pulled out all the stops for this adventure, working in collaboration with local riders to give you an unparalleled view of fjord country. You’ll spin past the Sognefjellet National Tourist Route, the proud Jostedalsbreen glacier, and the Lustrafjord, one of the country’s longest and deepest fjords that serve as a main port-of-call for its bustling boat industry. Join us as we ride into the heart of Mother Nature’s most northerly crown jewel. Pedal against the icy blue backdrop of the gargantuan Nigardsbreen and Bergset glaciers on the same day! The landscape here is simply unreal. Mountains jump right out of the sea. Carpets of wildflowers along every mile of roadside. No kidding, all the folks I met greeted me with the warmest smiles even before we shook hands or spoke. Drivers all waved as they passed. I was offered my pick of apples right from a farmer’s tree. I sampled Norwegian beers, and got tips from the innkeeper on where to find the best waterfalls. I ate smoked salmon, perfectly ripe veggies and freshly baked cookies. I learned the real story of the Vikings. I pedaled up other-wordly climbs, matched only by those in the Pyrenees and tucked low on descents like some of the best in the Rockies. I want to tell everyone and no-one about this Scandinavian treasure. Welcome to some of the world’s wildest wilderness. Meet your Trek Travel guides this morning in Sogndal, before we depart on a 1-hour shuttle ride north along the longest navigable fjord to the outpost town of Skjolden. Our destination? The world-class Skjolden Hotel, where the views take center stage. Relax, unwind and make yourself comfortable. We’ll then gather for a scenic picnic followed by introductions to the group and your bikes for the week. 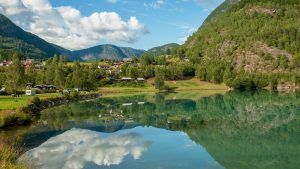 If you're feeling up to it, we'll roll out on a relaxed bike ride into the Mørkrid valley, the gateway to Breheimen National Park. Sweeping views give you a taste of what’s to come. Tonight, we’ll gather for a delicious farm-to-table dinner together at Skjolden Hotel, a give a toast to the adventure ahead. Your first full day of cycling will take you on a spirited course along the south and north side of the gorgeous Lustrafjord. The south side is also known as the “Romantic Road” and for good reason. Fantastic fjord scenery, including majestic landscapes, quaint farms and grazing wildlife provide a picture-perfect postcard of love at first ride. 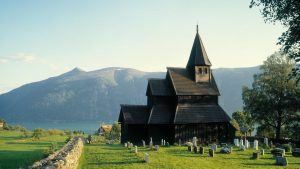 Gaze up at the hulking Feigefossen waterfall and visit the UNESCO site of the Urnes Stave Church. 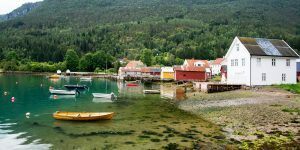 Then, we’ll hop on a small ferry and steam back across the fjord under the banner of blue sky before pedaling a positively magical route along the north shore of the fjord back to Skjolden. This day is special, with a deep dive into the finest and most iconic alpine landscape in Norway, starting with the legendary Sognefjellet mountain pass. It’s the highest in Northern Europe, reaching an elevation of 1,434 meters above sea level and has been rated by U.K-based newspaper The Guardian as one of the world’s top 10 cycling routes. 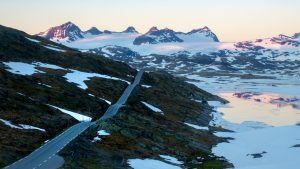 On the south side of the road, you can see straight into Jotunheimen National Park with its 255 peaks that rise above 2000 meters. Look to the north and catch breathtaking views of Breheimen National Park, known for its glaciers, two of which you'll see all along the top end of the ride. At the summit, we'll make a leisurely stop at Sognefjellet Hotel for lunch, coffee and to celebrate our accomplishment before the long descent. Don’t be surprised if all your future climbs will pale in comparison. Our route today starts along the Lustrafjord, the innermost arm of the Sognefjorden, and then turns north into the jaw-dropping landscape of Jostedalen Valley. Make sure your camera is packed, as our ride take us close to two giant glaciers in a single day. The first, Nigardsbreen Glacier, is one of Norway’s most famous glacier arms, and even the inspiration behind Norwegian art and architecture. The second, Bergset Glacier, is another glacier arm that you can see right from the road. Both lie in Jostedalen National Park and originate from the Jostedalen glacier. The largest glacier in continental Europe, with enough water to fill 300 million bathtubs! We’ll then ride back down from Jostedalen Valley and continue out the Lustrafjord, arriving in the small village of Solvorn. Tonight, we’ll rest our legs and enjoy a fantastic group meal at the historic Walaker Hotel. For our last riding day of the trip, we’ll discover the locals-only view of the Norwegian fjords, starting with a trip to the agricultural town of Fimreite. This quaint, idyllic Norwegian village is inhabited by just over 100 people and includes an obelisk to commemorate the Battle of Fimriete and the fight for the Norwegian throne. Stop at a roadside farm stand to sample the goods, take a swig of locally sourced apple juice and snap a few photos. 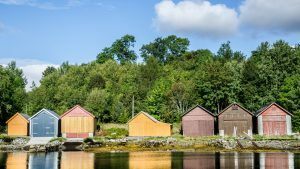 We guarantee nobody back home has ever heard of nor visited this tiny corner of Scandinavia, so make sure you document every fascinating moment. Tonight, we’ll gather together as a group over dinner and drinks at the Walaker Hotel and toast our accomplishments, new-found friendships and incredible adventures! It's time to say goodbye to the glory of the Norwegian wilds. Enjoy a leisurely breakfast and possibly an early morning spin before packing your bags for the trip back to Sogndal. Can't you stay and explore another day on your own? Maybe catch a soccer game or a waterside meal? Norway begs for one last escapade. It's been a special journey, and we know you'll be back. Skjolden Hotel is located far inside the world's longest fjord, Sognefjord, in the foothills of the mighty Jotunheimens mountains. Each comfortably appointed room features magnificent views that look upon the massive mountain range or towards the Lusterfjord. You'll delight in local food from farms in Skjolden and Luster, prepared by a talented team of chefs right at the hotel. The dedicated hosts here in Skjolden will make your stay an unforgettable experience. Right beside the fjord in the idyllic village of Solvorn, in the Luster region, lies the historic Walaker Hotel. The hotel has been owned and operated by the same family since 1690 and is the oldest family-run hotel in Norway, with more than 370 years of rich, vibrant history. Walaker is located in the middle of one of the world`s most romantic destinations, according to National Geographic magazine, and upon arrival, you'll see why. Wake each morning to the sound of lapping waves against the harbor shore. Relax post-ride while taking tea or enjoying a beer in the hotel's beautifully manicured garden and breathe deeply in the heart of fjordland. The Tørvis hotel is a gorgeous hotel with a history dating all the way back to 1639. Back then, the small village called Marifjøra, was a known trade center. The old traditions are well kept, both in restoring the hotel and it´s atmosphere. The hotel serves local and fresh produce. Fine wines and a rich atmosphere allows for exceptional culinary experiences. Kick back and enjoy both your food and the view. You will stay at this hotel in place of the Walaker Hotel on select dates. Roads in the fjordlands region are mountainous and undulating in nature. 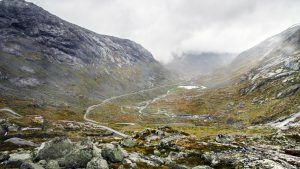 If you enjoy a hearty climb or a smile-inducing descent, you'll love the terrain here in Norway. 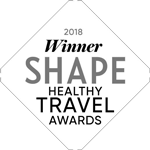 However, options abound for guests, with plenty of opportunities to extend your ride or shorten it up depending on your feelings each day. 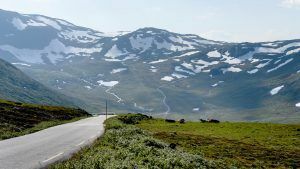 Weather it's a climb up to Sognefjellet mountain pass at 4,920 feet or a mellow spin in the Mørkrid valley, the riding here has it all. Beautiful pavement on narrow, quiet roads are the name of the game, and community members and drivers are more than accustomed to sharing the roads with cyclists. Norway Fjordlands is best suited for our Type 3 Riders. Our Trek Travel guides can also easily accommodate Type 2 Riders, who seek less mileage or fewer uphills, with a boost in the van. Those who wish to ride every mile but are concerned about their physical ability may want to try our electric bike option—you still get a workout but can climb alongside even the strongest rider. Type 3+ Riders will enjoy the extra mileage the avid route options offer. We suggest that you arrive at least one day prior to the trip start, which will enable you to adjust to the time zone and minimize the risk of missing the trip start due to flight-related delays. We recommend that you fly into Bergen Airport, Flesland (BGO). From the airport, call or hail a taxi to your hotel in downtown Bergen or directly to the Bergen ferry terminal. 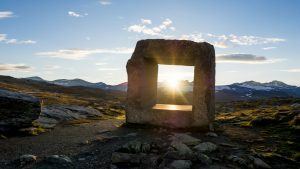 The meeting location is located in interior Norway in the town of Songdal. There are two weekday departures from Bergen on the Norway ExpressBoat, one departure on Saturdays and one on Sundays. ExpressBoat tickets run approximately $98 USD each way. ExpressBoat trips to/from Sogndal last approximately 4.5 hours each way. Tickets can be purchased online at http://booking.norled.no/default.aspx. The transfer from the Bergen Airport to the Bergen ferry terminal is easy to navigate. Taxi's are readily available from either the airport or your hotel in Bergen. 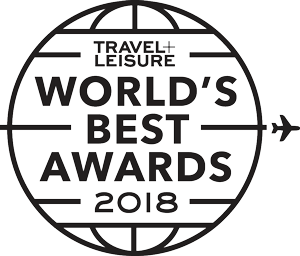 Your Trek Travel guides will meet you at the Quality Hotel Sogndal (Gravensteinsgata 5, 6856 Sogndal, Norway) at 11:00 AM on the first day of the trip. 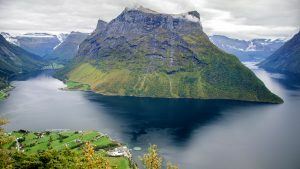 You and your traveling companions will take a 1-hour private Trek Travel shuttle north along the world’s longest navigable fjord to the outpost town of Skjolden. Once you arrive at the Skjolden Hotel, we'll enjoy a beautiful picnic and you can familiarize yourself with your bike for the week. Take an optional and relaxed bike ride into the Mørkrid valley, the “Gateway to Breheimen National Park," or choose to relax at the hotel. If you will be late for the pick-up or are going to miss it altogether, please inform your guides. You will receive an email a week before the trip start with their names and contact details. If you cannot reach them, please call our first hotel, the Skjolden Hotel (+47 57 68 23 80), and leave a message with your expected arrival time and contact details. You'll depart the Walaker Hotel at 11:00 AM on Friday (arriving approximately 1:00 PM in Sogndal). ExpressBoat departures from Sogndal to Bergen take place at 7:05 AM each day of the week. Take the time to explore Sogndal on your own again this afternoon and ready for your departure the following morning. Please do not schedule a flight out of Bergen International Airport on Friday or before 3:00 PM on Saturday to allow plenty of time for any unforeseen delays. If your travel plans require leaving at an earlier time, Sogndal Taxi (+47 57 67 10 00) can help get you from the hotel to your terminal at an earlier or later time. Sogndal is a thriving town of 6,000 people located at the heart of Norway's interior Songnefjord region. Quaint hotels, great restaurants and over 70 downtown shops and a successful professional soccer team make up this lively community tucked beneath snow-capped peaks. Most all within walking distance of the ferry terminal and hotel districts. Sogndal is a great introduction to life in the fjordlands. We recommend the following accommodations for your pre and post-trip hotel. This casual hotel is a 2-minute walk from Sogndalselvi river, 8 km from folk museum De Heibergske Samlinger Sogn Folkemuseum, and 13 km from the ski center Sogndal Hodlekve. The bright, airy rooms offer free Wi-Fi, flat-screen TVs and minibars. Room service is also available. Upgraded rooms add pull-out sofas, and suites have living rooms. All rooms are currently being renovated and are slated to be completed May 2018. Complimentary amenities at the hotel include buffet-style breakfast and parking. 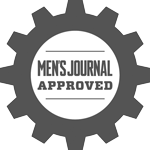 There’s an Italian restaurant and a hip, relaxed cafe and bar to enjoy as well. Hofslund Fjord Hotel has been a family run hotel since 1912. Most of the rooms have a dramatic fjord view and balcony. The hotel is situated right at the center of Sogndal and directly on the shore of the Sognefjord, the longest fjord in the world. It has its own garden and a heated outdoor swimming pool. From the garden, you can enjoy the picturesque sight of the fjord and the surrounding mountains. 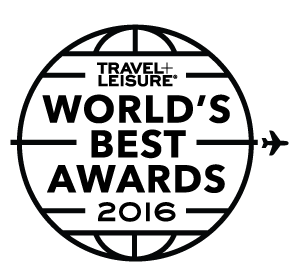 Welcome to Best Western Laegreid Hotell in the center of Sogndal! Located next to the little fountain in the Sogndal town square, Almenningen, you will find a pleasant location for your stay in the fjordlands.